The 108th interview is finally online! Last week I met actor Erick Lopez in New York, at the end of his visit from Los Angeles to promote the film Flavor of Life. In the drama, he plays an estranged grandson who reunites with his grandfather and has to help him save his restaurant. It’s the first role Erick says he was offered without having to audition, and he’s happy to promote it. 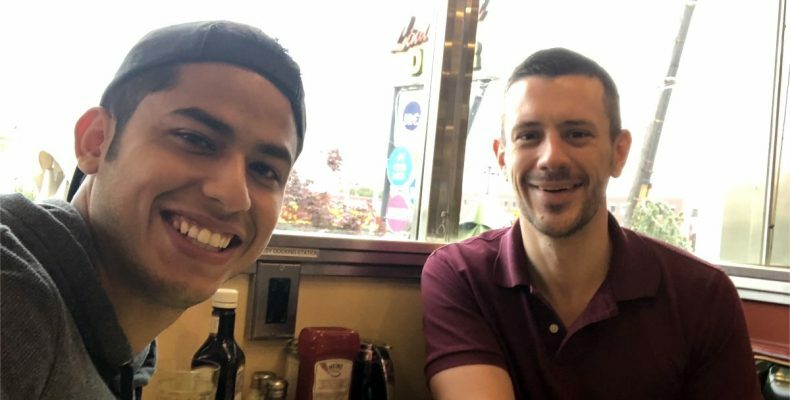 We had time for breakfast before his flight back to the City of Angels, and met at the Lindenwood Diner in Brooklyn, where he shared his story about transitioning from high school athlete to full-time actor. Some of his most recent roles including Tommy on the MTV show Faking It, and as Hector on the CW’s Crazy Ex-Girlfriend. 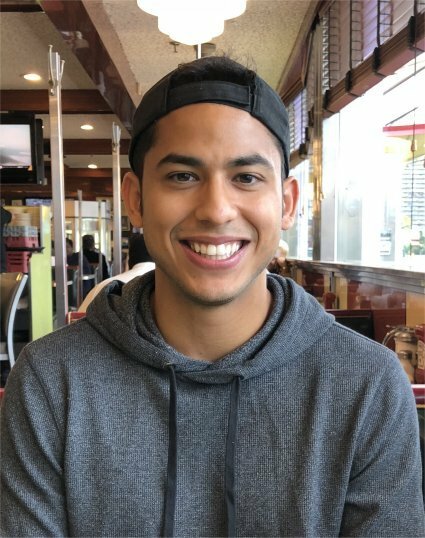 Having worked in acting for several years, Erick is now looking to help aspiring actors through his occasional podcast Erick Lopez Explains. He talks about important things like how to find an agent and how to prepare for auditions, and does so by referring to his own good and bad experiences. On the podcast and also in person he’s got a very easygoing nature, and I had an enjoyable meal learning about his life story. Click on the picture above or on this link to read my interview with Erick!